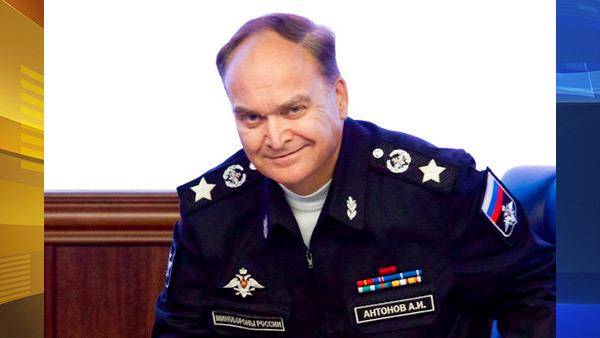 FILE - In this file photo taken on Friday, Oct. 7, 2016, Russian Deputy Defense Minister Anatoly Antonov smiles at a briefing in the Defense Ministry in Moscow, Russia. "The worst apprehensions have come true. Our warnings have been left unheard. All responsibility for them rests with Washington, London, and Paris.